Maintaining equestrianism and inspiring more and more people to the classical way of horse-riding which is adapted to the horse’s needs, is the main concern of Anja Beran and her foundation founded in 2009. Therefore, we would like to give interested riders all over the world the opportunity to deepen their knowledge of a horse-friendly training method and to gain valuable insights for their daily practice. In addition to our regular program of events, there is now the possibility to book Anja Beran for lectures at your location. Here is an overview of the topics that can be combined or modified if necessary. Just contact us to plan your individual event with us, we are happy to advise you! 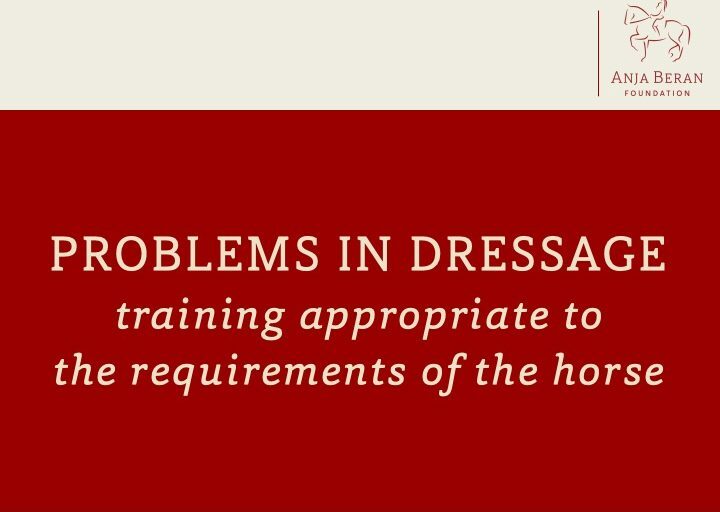 In a multimedia lecture, movement sequences are made transparent by trick animations; and documents vividly how a misunderstood dressage differs from an appropriate training which is adapted to the horse’s needs. In addition the analysis can be commented from a veterinary point of view by equine vet for chiropractic Elisabeth Albescu. 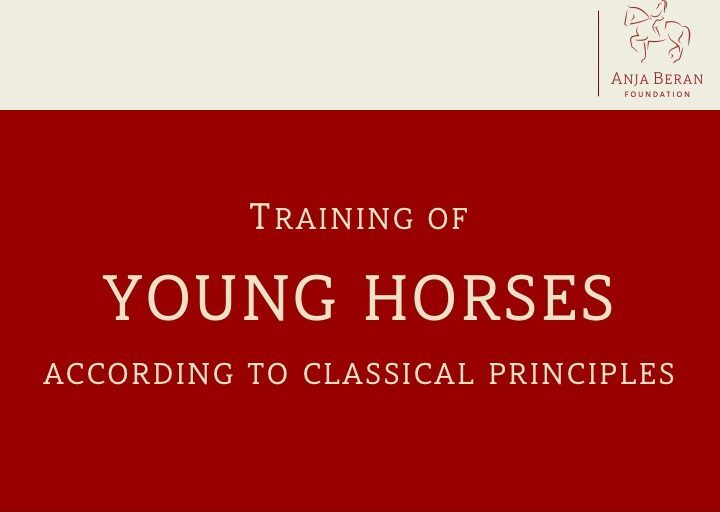 This multimedia lecture is about training young horses according to classical principles. In the long run it will lead to healthy and motivated riding horses. What does a correct training look like and which mistakes must be avoided? Optional the equine veterinarian Elisabeth Albescu expands the topic from a veterinary point of view; she illuminates the mental and physical aspects in the development of the young riding horse. 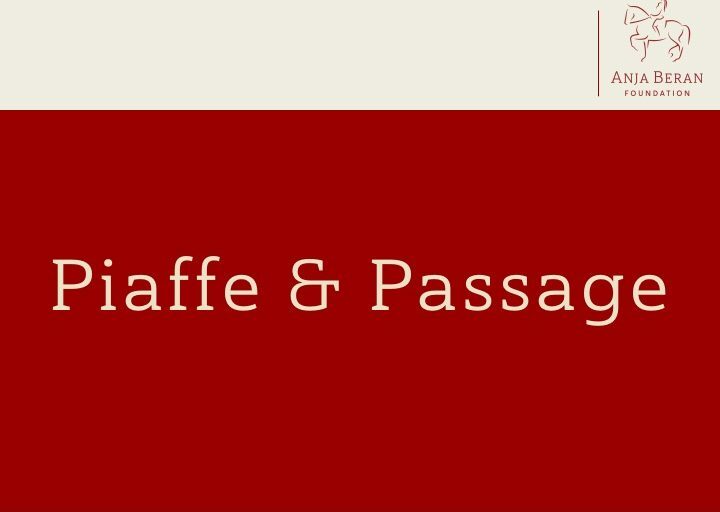 A correct piaffe and passage is the flagship of a horse friendly training according to classical principles. Based on multimedia cartoon animations, the lecture shows how these lessons should look like, which preconditions have to be fulfilled in order to start the training and which mistakes can occur. “A good rider’s seat is practiced animal welfare” is the credo of Anja Beran. So this lecture is exclusively about the seat. What preconditions must be fulfilled and how can I, as a rider, achieve a supple, feeling and ultimately effective seat on a horseback. 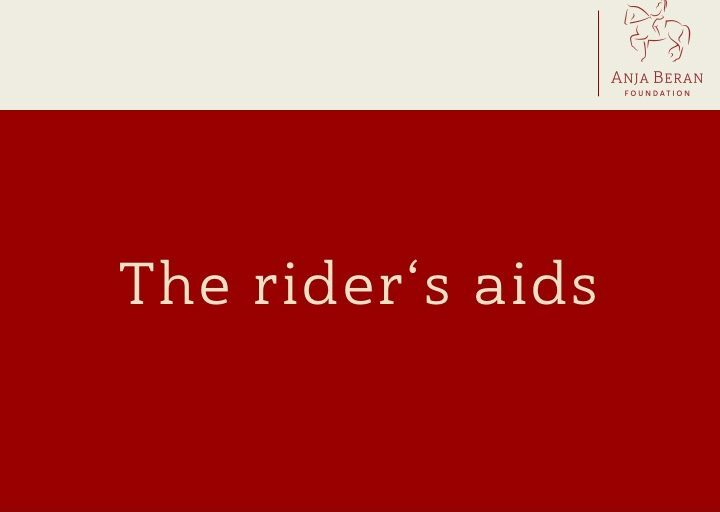 The rider’s aids is the language between rider and horse; and thereby the basis for any further work – from the young horse to the well trained riding horse, from ground work to high school in the saddle. Which aids do exist; how does the horse learn the different aids and how light aids contribute to a smooth communication with our horse – these are the topics of this lecture. What is straightening, how do I recognize the natural crookedness of the horse? And how do I use the different types of lateral work to balance and collect my horse? In this lecture these questions will be addressed in a clear and comprehensive way. 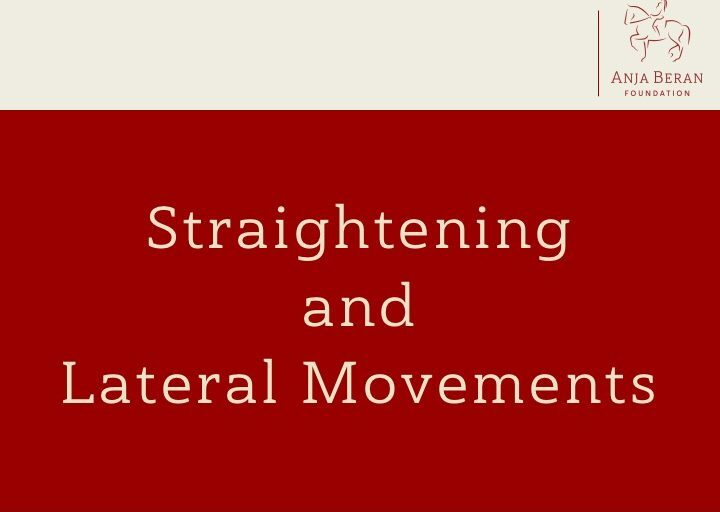 The canter, one of the most important basic gaits of our horses, will extensively be addressed in this lecture. 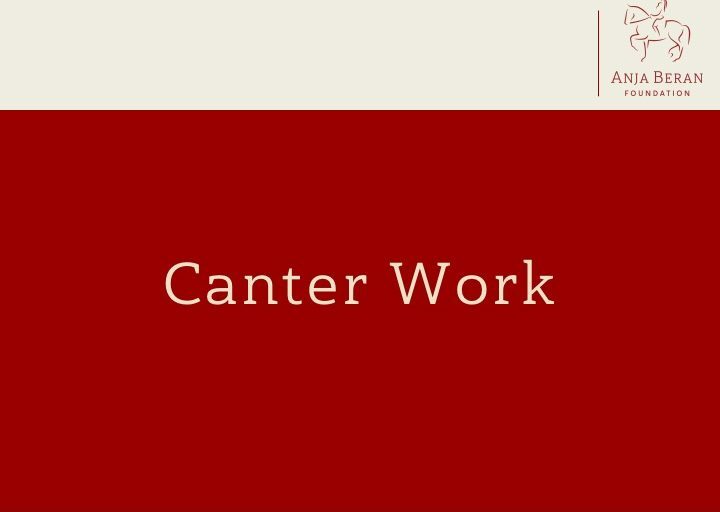 How does the canter work look like with a young horse and an advanced horse? And which collecting exercises in canter are the objective of the high school? 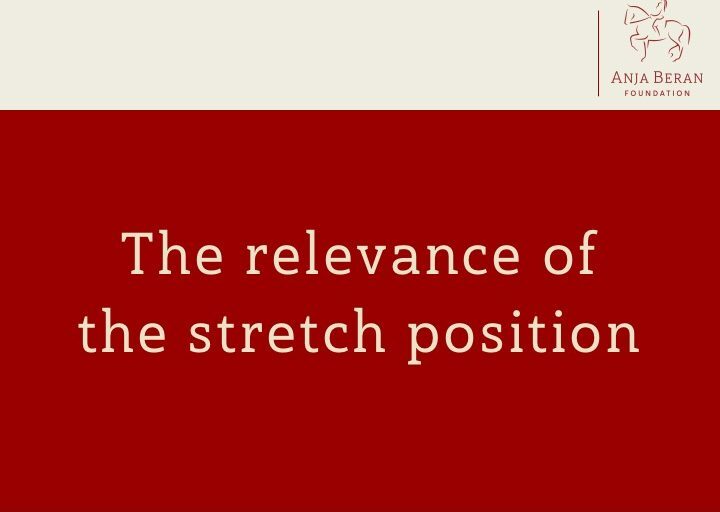 The lecture also addresses the most important requirements and the most common mistakes. For Anja Beran the Spanish walk is by no means a mere show lesson, but can have a gymnastic value in horse training that should not be underestimated. 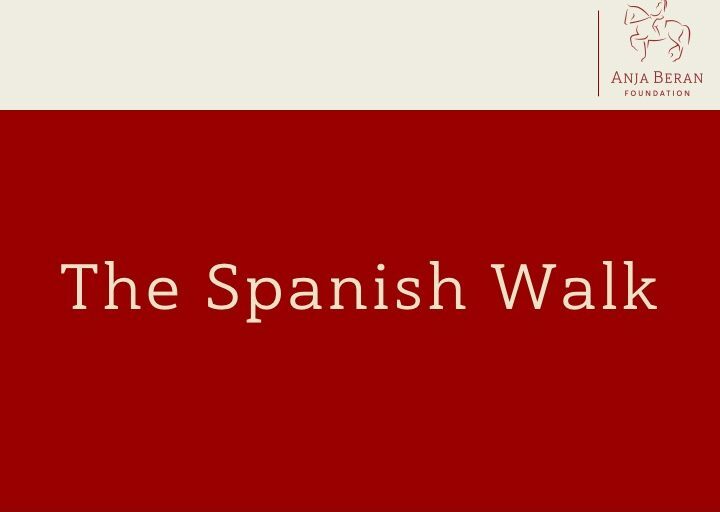 In addition, the Spanish walk helps to improve lessons. Therefore, for the horse trainer the Spanish walk is quite classical – not least because in particular the stallions show this lesson as showing off by nature. However, the correct performance is important and this is the main topic in this lecture. In addition, the different variations of the Spanish walk such as polka, jambette, Spanish trot, etc. are presented. 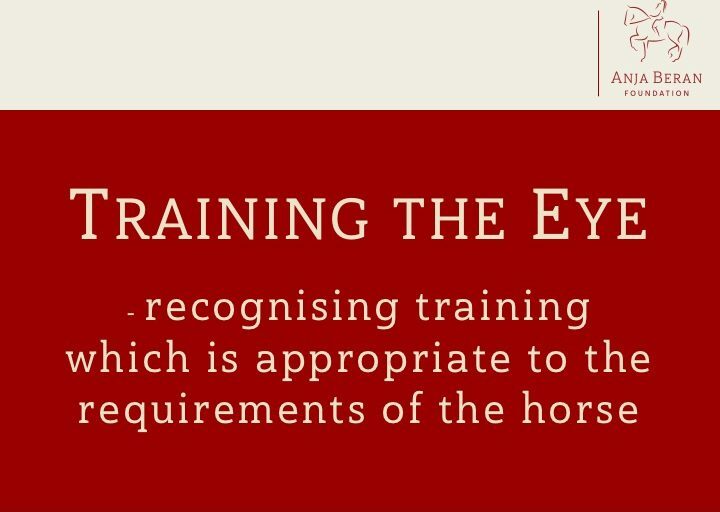 In 30 years training work with horses of all breeds, it all adds up to a lot; and so Anja Beran has put together a particularly interesting and entertaining lecture. Sooner or later training problems will arise with almost any horse. Whether these problems are rather harmless or even could become life-threatening, is explained in this lecture and gives important clues about causes and shows holistic solutions. This lecture revolves around the vitality of our horses, which we can only maintain and develop with horse-appropriate training. Which training helps our horse build up muscles and strengthen its back? Which misunderstood training methods harm our horse? 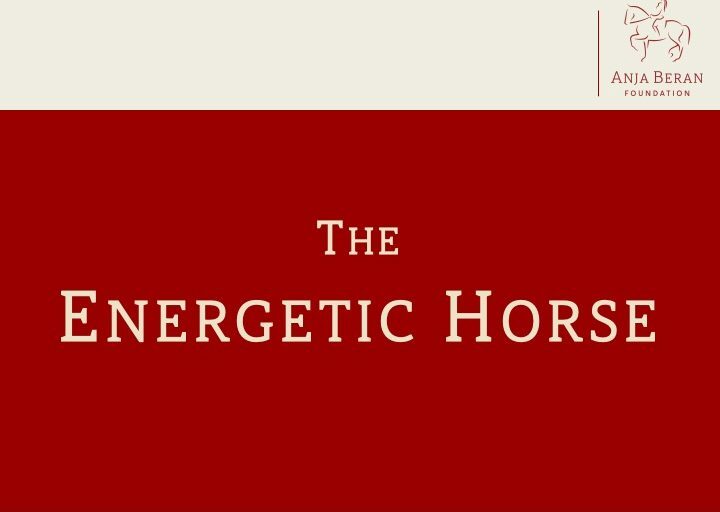 In addition, Elisabeth Albescu’s holistic view of chiropractic shows how exercising affects the horse’s musculature, what is healthy and why back problems are often preventable. In a little digression, the veterinarian provides important guidance for healthy horse feeding. Who does not know that? In general, horse riding and horse training in particular, not everything is always going according to plan. Instructors and riders sometimes face many challenges, sometimes tasks that are almost unsolvable. For more than 30 years, Anja Beran has been passionate about finding horse-friendly solutions to such challenges. 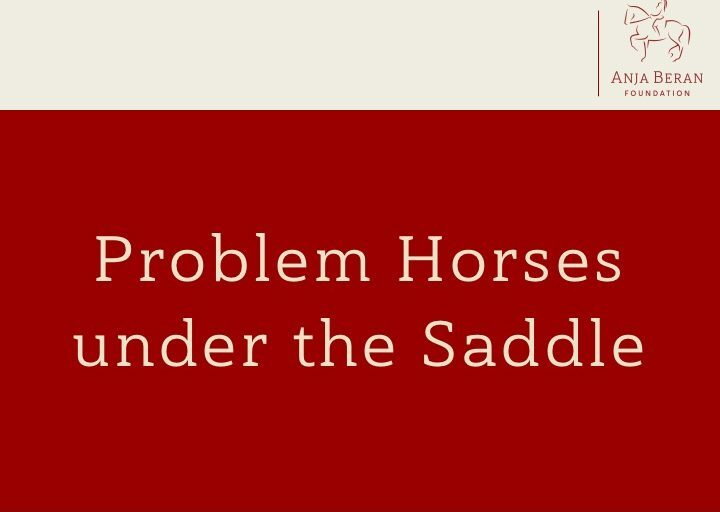 In this talk, you will benefit from her wealth of experience and can take home numerous tips for working with your horses. There is a saying “good preparation is half the battle” and Anja Beran wholeheartedly agrees with this idea. 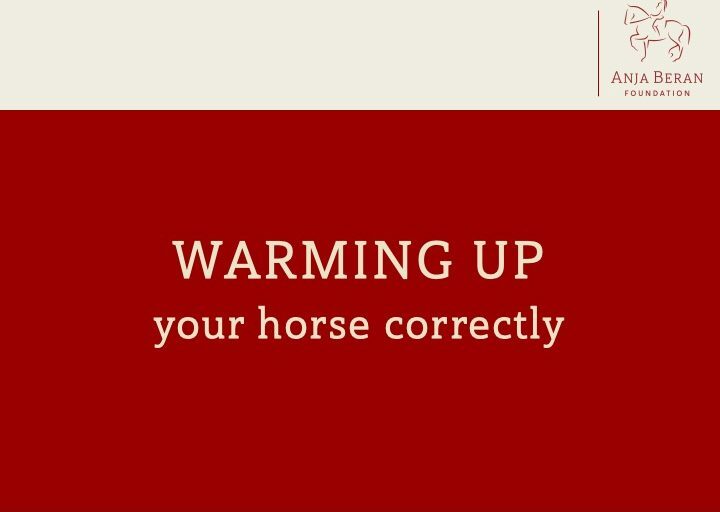 The warm-up before the actual riding is important for ALL horses. 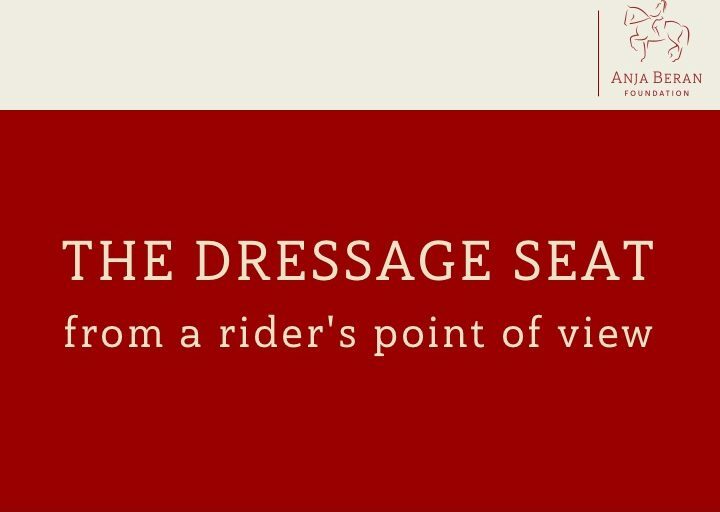 What you have to pay attention to and which useful exercises are offered in the context of classic dressage from the ground and in the saddle, you will learn in this lecture. The “Dehnungshaltung” in German does mean neck extension in a long frame. Nowadays it also became fashionable as “forward-down”. It is a controversial topic for discussions and misinterpretations. How does a correct neck extension in a long frame look like? How do I integrate this in a meaningful way in the training work? And what damage can a misunderstood forward-down riding cause? Are there differences in different horse types? What was the background that the forward-down riding gained so much in importance? The lecture gives detailed answers to all these questions from the point of view of Anja Beran and her more than 30 years of experience as a trainer of horses of different breeds. As a training facility for classical dressage, Gut Rosenhof is specialized in keeping stallions. Since the year 2000, Anja Beran has accommodated more than 40 horses, the majority are stallions. 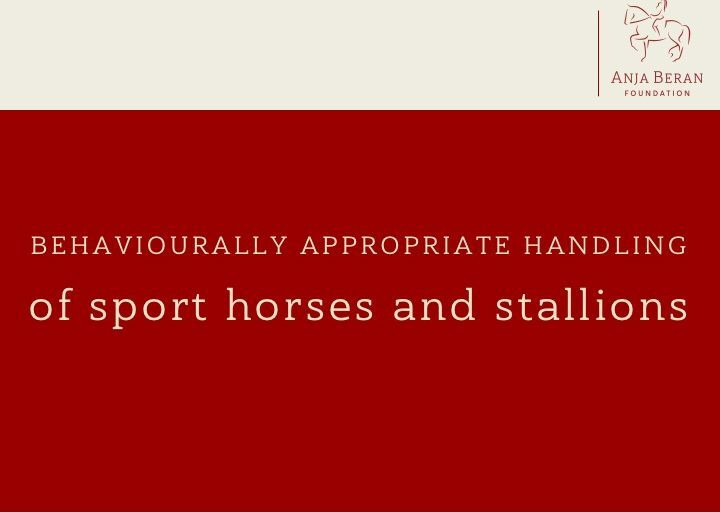 In this lecture Anja Beran vividly shares her years of experience in keeping, feeding and training stallions and sport horses, among else giving practical examples. 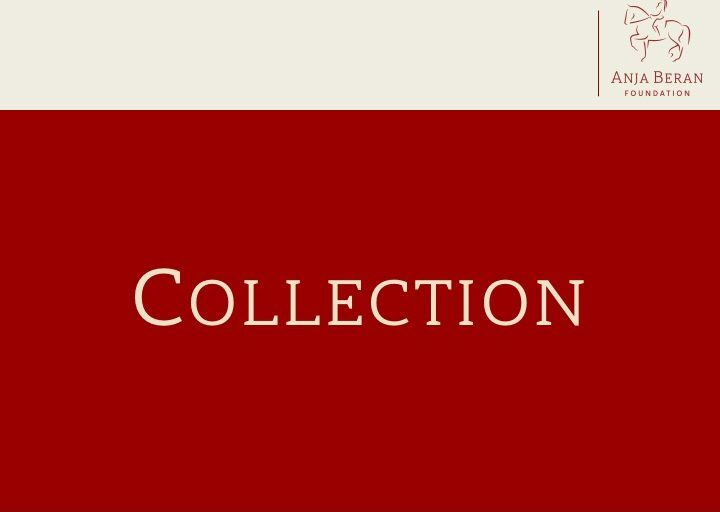 What does the term collection mean? How does a correctly collected horse look like? Based on drawings by the renowned horse painter Renate Blank and by using multimedia cartoon animations, this lecture vividly shows the high school as art of riding in the classical sense. This classical art of riding will be confronted with the nowadays so widespread distorted images which arise through artificial and drilled movement sequences.